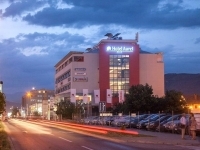 Recently built hotel 4* in a walking distance form the city center is suitable both for business travel and leisure as well. 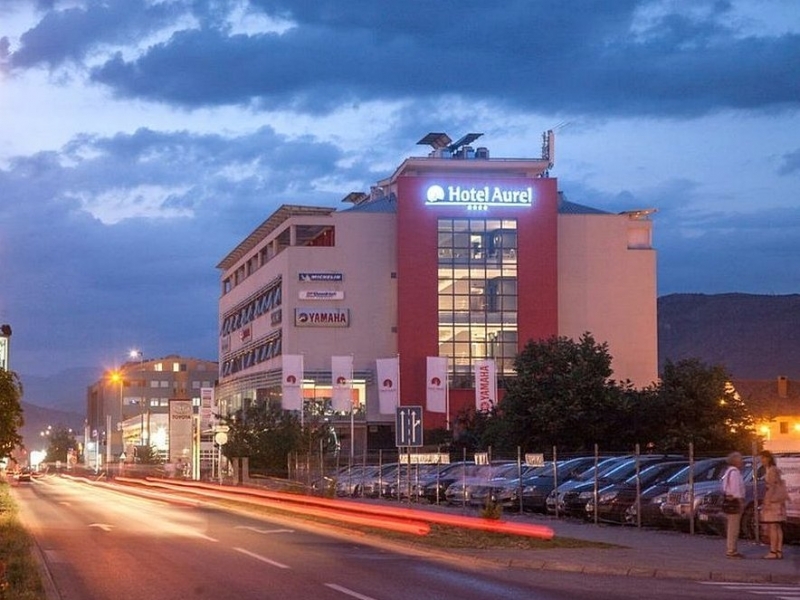 Hotel Aurel 4* is situated in a new business zone in Podgorica, only 1km way from the city center with administrative, commercial institutions, numerous cafes, restaurants and shops. The hotel boasts simply, elegantly designed and very comfortable and spacious rooms. 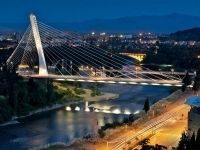 It is in ca 11km from the airport Podgorica away. For business travel the hotel offers conference and meeting rooms modernly equipped with all needful technology. In cozy restaurant n the 3rd floor the hotel offers rich choice of international and Montenegrin delicious dishes. On the top floor of the hotel, in an intimate and quiet ambience, at guests disposal is are additionally wellness center facilities with sauna, steam bath, hydro massage pool, massages, fitness centre. Free Wi-Fi internet and Garage are provided as well. It is a classic double room for single use. All rooms in the hotel are very spacious, carefully designed in soft colors and with plenty of day-light. Room facilities: Air conditioning, Safe, Mini bar, Telephone, Flat-screen TV - Satelite, Wardrobe/Closet, Shower, Hairdryer, Slippers, Bathrobes. All rooms in the hotel are very spacious, carefully designed in soft colors and with plenty of day-light. They could be with king-size bed or twin beds.